Do it right, first time, every time with RockStem™! RockTek’s RockStem™ patented stemming products have been uniquely designed to effectively stem bore holes, in particular up and horizontal holes. RockStem™ significantly increase productivity by decreasing the time to correctly stem holes to ensure confinement of the PCF/RocKracker™ products. 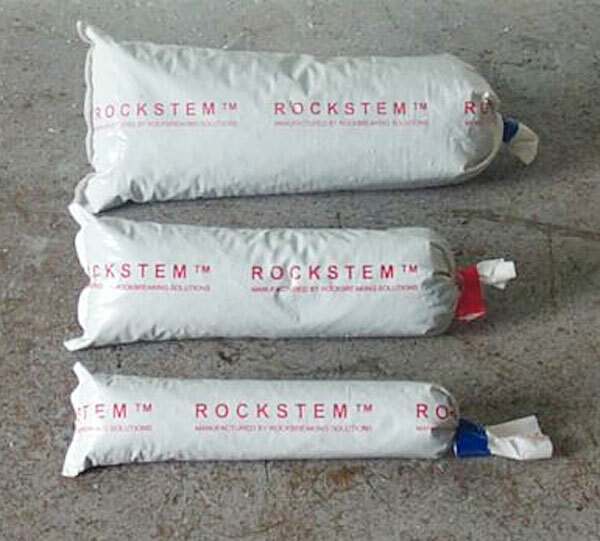 RockStem™ has been successfully used to stem holes loaded with High Explosives to significantly reduce the risk of Sulphide Explosions when the HE is initiated. "RockTek support the disabled community through our long association with The Endeavour Foundation. RockStem™ is exclusively manufactured by Endeavour to support people to realise their full potential. By supporting RockTek you are contributing to The Endeavour Foundations good work."